Suffolks sold to a top price of 6,500gns twice in the Borderway Beauties sale of Suffolk females for two shearling gimmers from Iain and Judith Barbour’s Solwaybank flock, Annan, Dumfriesshire. The first was for a December-2016 born Collessie Cartier daughter out of a Solwaybank ewe, whose maternal sister is 2014 Royal Highland Show champion Eva Jane. It sold to Messrs Craft, Leslie, Fife. Another ewe at the same age followed, by Lakeview Harbinger and out of the same dam. It was bought by Messrs Delves, Churchstoke, Powys. Next at 4,800gns was another shearling, this time from Mark Priestley’s Limestone flock, Co Down. 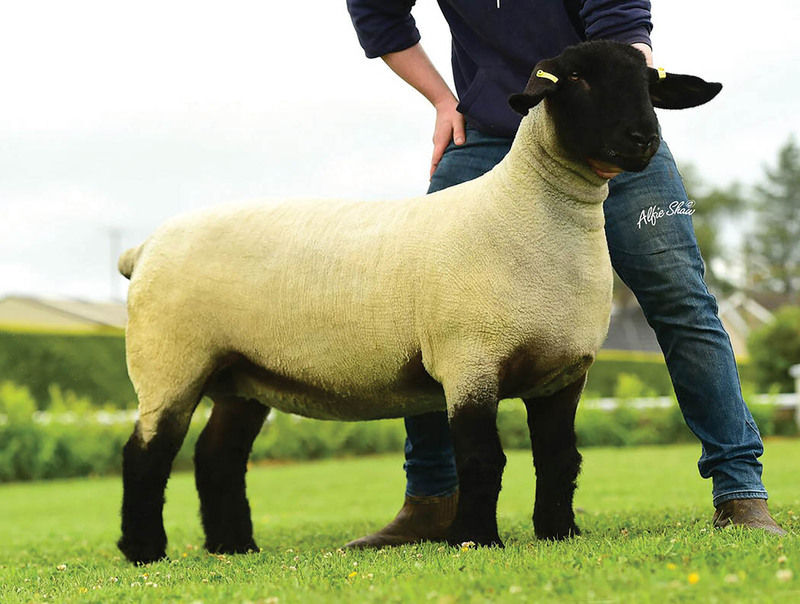 This Strathbogie A Kind Of Magic daughter sold to Messrs Machray, Inverurie, and was followed at 4,100gns for another consignment from Northern Ireland, a Solwaybank Master Debater daughter from Dennis Taylor’s Ballycannon flock, Coleraine. It was bought by Messrs Hughes, Anglesey. 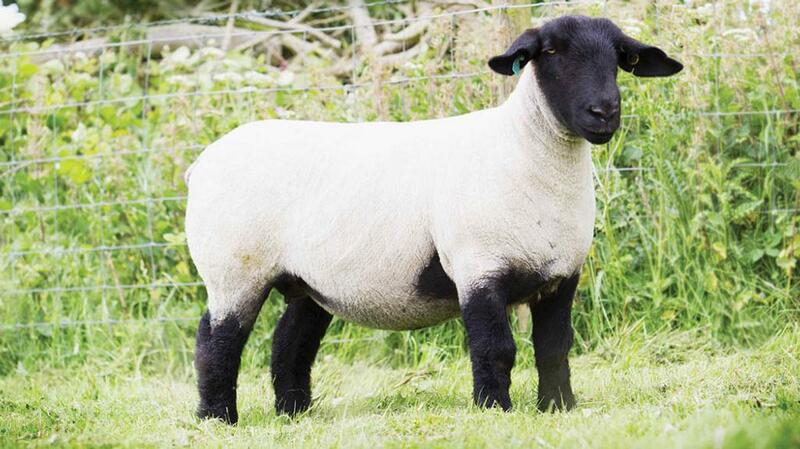 Ballynacannon flock – 4 shearling gimmers, £1438.50; 4 ewe lambs, £669.38. Birness flock – 5 shearling gimmers, £1,014.30. Bridgeview flock – 2 shearling gimmers, £777; 3 ewe lambs, £1,050. Burnview flock – 5 shearling gimmers, £1,942.50. Carony flock – 6 shearling gimmers, £1,268.75. 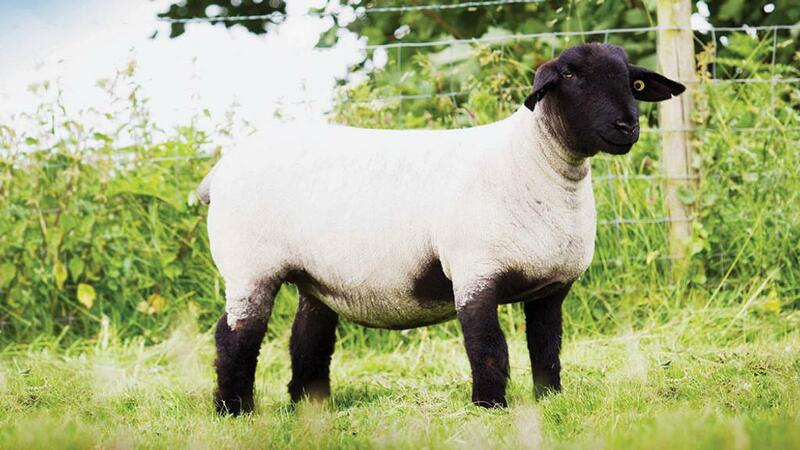 Castleisle flock – 2 shearling gimmers, £1,680; 2 ewe lambs, £2,205. Convoy flock – 4 shearling gimmers, £1,063.12. Crewelands flock – 4 shearling gimmers, £651. Forkins flock – 1 shearling gimmer, £420. Limestone flock – 1 shearling gimmer, £5,040; 4 ewe lambs, £1,330.88. Mullaghboy flock – 2 shearling gimmers, £813.75. Salopian flock – 3 shearling gimmers; £602; 1 ewe lamb, £1,890. Solwaybank flock – 6 shearling gimmers, £3,062.50.